We are pleased to announce the launch of our new site! Please contact us if you have any queries or comments. Leporogo Specialist Engineers is an established and experienced professional service provider, wholly owned by professionally registered South Africans, with 100% Black Ownership. The company was established on 15 December 2000 in Polokwane. Leporogo offers specialist services in bridge design to all SA Government Institutions and all SA Consulting Firms not employing full time specialist bridge and/or structural engineers. 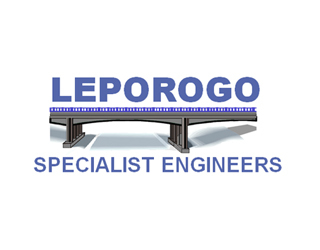 Leporogo Specialist Engineers offers an extensive range of knowledge and experience in the fields of Bridge, Structural and Road Drainage Engineering, while at the same time bearing in mind our social responsibility and the needs of historically disadvantaged communities. Leporogo Specialist Engineers has been independently rated in terms of BBBEE Codes of Good Practice and is currently certified as a LEVEL ONE contributor. Our mission is to provide a specialist service in the field of road, bridge, structural, and road drainage engineering design to all our clients and thereby become a well-known and preferred specialist design office.